In another fantastic example of biomimicry, a team of South Korean scientists is studying fireflies in an effort to develop a better, less expensive LED lens. The team’s research sees them essentially mimicking the insect’s bioluminescent organ for lighting applications. It is hoped that by studying and duplicating the structure of a firefly’s underbelly, the team will be able to produce more efficient and cheaper LED lighting. 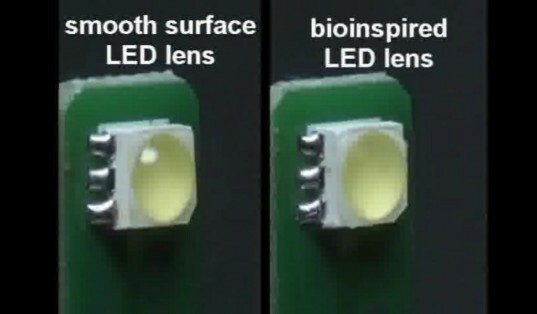 The team’s research was published in Proceedings of the National Academy of Sciences where the researchers described their better anti-reflective lens for light-emitting diodes (LED) in their paper, “Biologically inspired LED lens from cuticular nanostructures of firefly.” In it, they described how fireflies use their bioluminescent organ to attract a mate. In another fantastic example of biomimicry, a team of South Korean scientists is studying fireflies in an effort to develop a better, less expensive LED lens. The team's research sees them essentially mimicking the insect's bioluminescent organ for lighting applications. 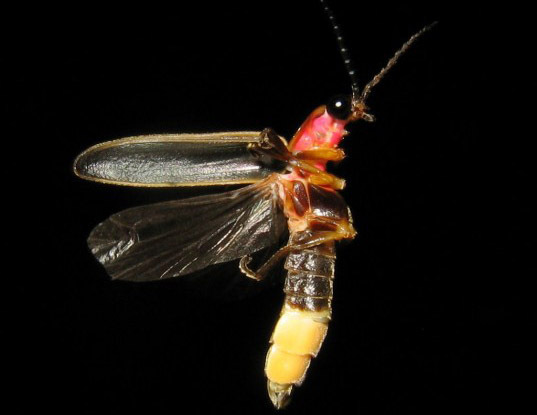 It is hoped that by studying and duplicating the structure of a firefly's underbelly, the team will be able to produce more efficient and cheaper LED lighting.